February 5, 2015 – On April 10, the Space Foundation will kick off Space Symposium week in Colorado Springs with its second annual Space Foundation Yuri’s Night – a big party at the Discovery Center that brings together Symposium participants with the general community to meet astronauts and enjoy food and drink, all in support of STEM education programs. 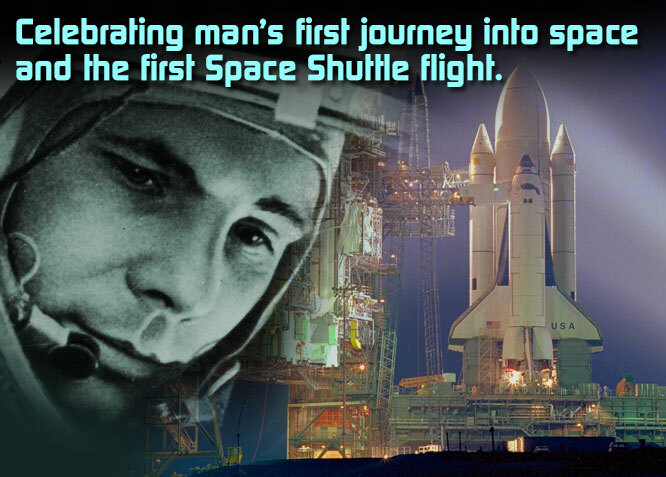 The global celebration of Yuri’s Night recognizes April 12, 1961, the day of cosmonaut Yuri Gagarin’s first manned spaceflight, and April 12, 1981, the inaugural launch of NASA’s Space Shuttle. For more about Space Foundation Yuri’s Night, and to buy tickets, click here.